Cloud storage is the future of how businesses and individuals will store and use data. 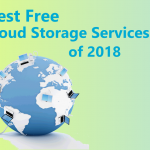 Below we will discuss the five best free cloud storage services of 2017, but why would you want to use it in the first place? Cloud storage allows for better teamwork, since multiple users can access and edit documents simultaneously. It also provides constant backup of your files, so there’s no need to worry about hard drives or servers failing and needing to restore data. 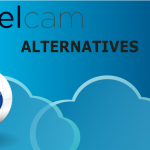 Files stored on cloud services are accessible from any location via an Internet connection, which makes it easy to work in multiple locations or from home. Perhaps most importantly, cloud storage represents an area of potential cost savings for your business. You have likely heard people throwing around terms like that data is stored “in the cloud”, but what exactly does it mean? Cloud storage can seem like a difficult to grasp the concept, but once you understand the basics, it’s actually quite simple. Instead of data being stored on site using physical hard drives and servers on your business premises, all of your data is stored off-site and looked after by a third party. When the data is needed again, it can be easily retrieved and edited over the Internet. 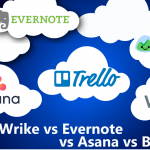 If you have ever used popular web applications such as Google Docs or Dropbox, then you’ve likely already had experience using cloud storage without even knowing it. As mentioned in the introduction, using cloud storage can represent a significant cost saving for your business. 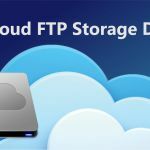 Whether you are using a paid or free cloud storage solution, it will likely have a lower price than what it would cost to maintain a traditional IT infrastructure for your business. Cloud storage also has the potential to save bandwidth. By having files saved in the cloud, they can be shared with other users simply by sharing a web link instead of having to email the entire file each time it needs to be shared. 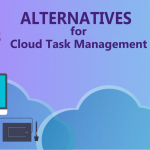 Using cloud storage also enables users to always have access to the most up-to-date version of a file, and reduces conflicts of users working off of different versions. 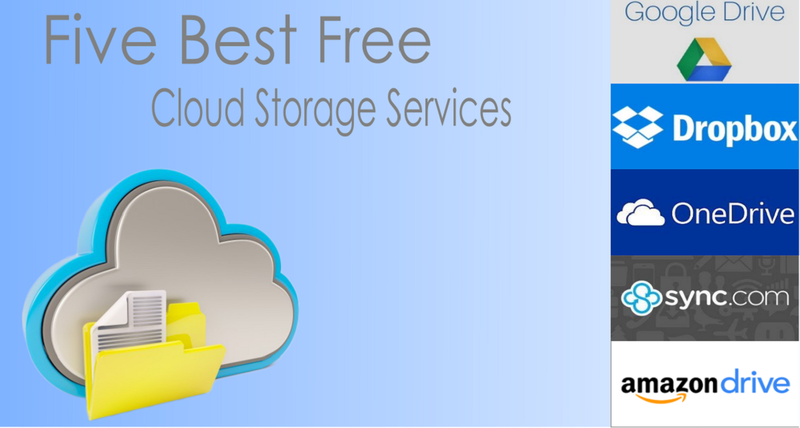 There are a number of key factors to consider when deciding on which cloud storage service you will use. 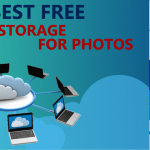 Shortly we will lay out what we feel are the five best free cloud storage solutions, and it’s worth keeping these key factors in mind while you are evaluating each one. 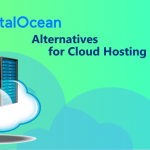 Your business could be using the same cloud storage service for years to come and switching, later on, may be difficult, so it’s essential to find the right initial solution. One major factor to consider is the amount of storage your business will require. Also, note what your business needs may be in five or ten years, and ensure the service you select is able to grow with you. If you deal with large files on a regular basis, then the ability to upload large files will be important to you, and you want to make sure that your files won’t regularly exceed the limit of the platform you select. Of course, pricing is also an important consideration. Although many of these services start off with a basic free tier, you may end up needing to pay a monthly fee for the service as your data needs grow. Google Drive offers 15GB of cloud storage for free, which is triple what some other services such as OneDrive offer. Additional storage is quite cost-effective as well, with 100GB available for $1.99 USD per month or 1TB for just $9.99 per month. Larger plans are also available for corporations who require additional storage. Google Drive allows users to upload files up to 5 TB in size, which is massive compared to OneDrive’s 15GB file upload limit. Obviously, such the option is not included in Google Drive free tier. So, if you would like to go for some paid option, it’s better to check some Google Drive alternatives first. 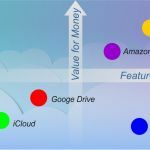 But, if you’re just looking for a cloud storage service without any additional products bundled with it, Google Drive is one of the most flexible and cost-effective cloud services available. 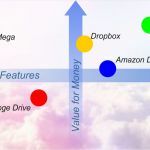 Dropbox is one of the more common cloud storage service names you hear used by the average consumer, but is their service worth it? 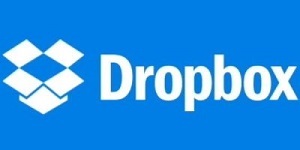 At only 2GB, Dropbox offers the lowest amount of free storage compared to the other companies on our list. For individuals, a Dropbox Plus plan expands your data storage to 1 TB for $9.99 USD per month, which is equal to what Google Drive offers. 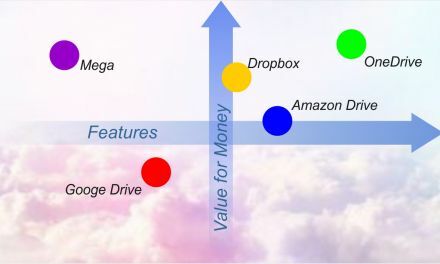 For business plans, Dropbox starts at $12.50 USD per user each month, which allows for 2 TB of space. Dropbox Business also comes with a range of features including full Office 365 integration, 256-bit encryption, live chat support and more. The pricing for OneDrive is a bit steeper than some of the competitors. For individual users, Microsoft only offers 5 GB of initial free storage, with each additional 50 GB being $1.99/mo after. For businesses, OneDrive offers 1 TB (1000 GB) of storage for $60 per year, but this fee is per individual user. This is vastly more expensive than what Google Drive or Dropbox offer. However it’s also worth noting that Microsoft bundles its OneDrive service with its Office365 products for a drastically reduced cost. You will likely need a copy of Word, Excel, and other essential programs for your computer anyway, so it might be worth considering over an alternative like Google Drive. A copy of Office365 offers up to 1 TB of storage with a $69.99 USD per year fee for Office 365 Personal with Premium OneDrive Features. For businesses, a copy of Office 365 Business Premium also comes with 1 TB of storage for a fee of $150 per year, per user. Alternatively, you can pay $120 per year for an unlimited amount of OneDrive storage without having to purchase a copy of Office 365. 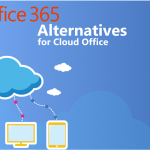 When bundling your OneDrive storage with the purchase of an Office365 account, it becomes a more reasonable storage option when compared to other services. Sync offers 5GB of secure storage for free, which is on par with most companies on this list. For lower storage needs, Sync manages to undercut even the prices of Google. A personal “pro” plan is $8 USD per month and comes with 2 TB of storage. For prices as low as $5 per user per month, Sync offers a 1 TB storage plan for business users. It features all the benefits of the personal pro plan, with additional features such as the ability to transfer account ownership, centralized billing, and setting folder access and permissions at a per-user level. Sync also has no file size limits, which isn’t something other services on this list can offer. On the off chance that you need to store files larger than 5 TB in size, Sync might be the perfect solution for you. The average person may not be aware that Amazon offers their own cloud storage service as well. 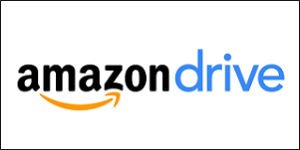 Amazon Drive offers a reasonable free storage plan at 5 GB. Amazon’s paid plans are less competitive than you may imagine. All plans are billed per year, as opposed to per month like other items on our list. A 100 GB plan costs $11.99 USD per year or only approximately $1 per month. A 1 TB plan is $59.99 per year or $5 per month. If you are able to pay for your entire year’s subscription at once, then Amazon Drive can save you some money, but if you would prefer to pay on a monthly basis, then one of the other items on our list is likely a better fit. One area that Amazon Drive excels is with device compatibility. Computers, iPhones, Android devices and even Kindles work with the service. 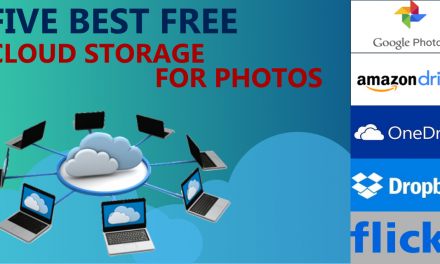 This works especially well for photo storage and allows you to seamlessly upload pictures taken with your phone to the cloud and free up your storage on the device. Document scanning allows using your mobile device camera to save paper documents in PDF format. Use on any device anywhere. PC, Mac, Android, iPhone, Kindle and more. 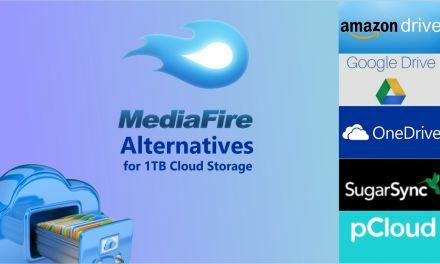 We have taken a look at the five best free cloud storage options currently available, and you should now have a better idea of which service would be best for you. 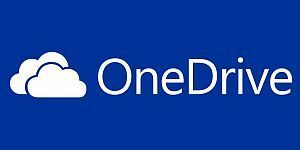 If you plan to use Office365 anyway, then OneDrive may be the cloud storage option for you. However when not bundled with Office365, OneDrive has difficulty competing with the prices of other services. 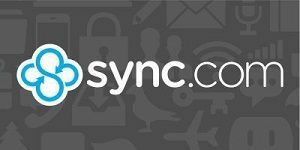 For smaller storage needs of only 1 or 2 TB, Sync.com manages to even undercut the prices of giant companies such as Google. 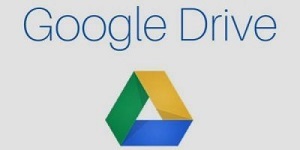 However for larger storage needs of up to 30 TB, Google Drive is likely your best solution. 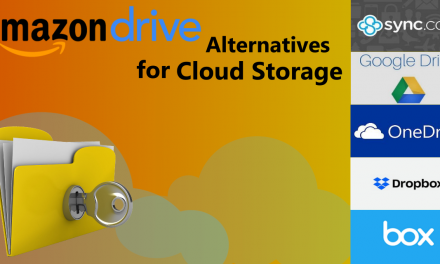 Amazon Drive and Dropbox offer great mid-range solutions that you may want to consider if you plan to make use of some of their additional features. My favourite service is MyAirBridge.com. You should try it too. It is a gold middle way between saving and sharing the files.